Tiger is a déchet, a race created by humans to fight in the war against shifters. Almost everyone of her kind was killed in and after the war, but due to her excellent genetic makeup she's still alive. As all déchets were supposed to be terminated, Tiger went into hiding straight after the war and has been living a secluded life, mostly isolated from the rest of the world, for decades. The ghosts of the déchet children that didn't survive the war are still around. They're keeping her company and they are her eyes and ears. Finding a child in need of her help changes Tiger's life completely. Suddenly she has to deal with the world again and not only that, she has to face some awful dangers to assist a group of people she didn't even know before she found the child with their mission. Tiger has to do everything she can to lead more children that have disappeared from Central, the nearest city, to safety, but there will be a price to pay. Will she be able to keep herself safe and rescue the children? 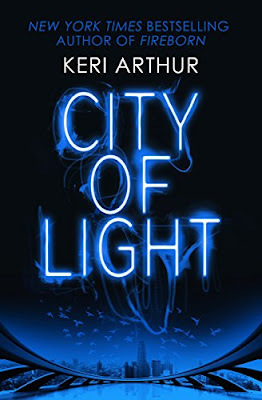 City of Light is a fantastic story about a spellbinding original main character. Tiger might have been created in a lab with the sole purpose of killing, but she's much more than just the combat machine they wanted her to be and she does have feelings. When there are children involved she will do anything in her power to rescue them. She's tough, fierce and strong and she has some very interesting skills. I immediately liked her a lot. Tiger is used to being alone, but she's able to adjust and adapt and that is one of her biggest strengths. She also never gives up, which makes her a joy to read about. Keri Arthur's world building skills are amazing. 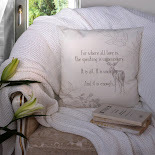 I loved her idea of an environment that has been altered by a war between humans and shifters. There are cities that need protection, all kinds of dangerous creatures are roaming the streets and nobody's safe. There are so many different species and not all of them can walk around freely. It was fun to read about each person and their abilities. There are plenty of powerful and dangerous characters to read about and some endearing ones too. I especially enjoyed the importance of the ghosts of the small déchet children in the story. They bring some wonderful light in the darkness. Keri Arthur knows how to write an adventurous story and her fighting scenes are absolutely fantastic. I loved the way Tiger manages to defend herself. She uses her abilities, but she's also incredibly clever and resilient. There's a lot of action and the fighting in every combat scene is different and very well described. City of Light is a gripping story, it's one terrific big adrenaline rush that made me eager to keep reading. Tiger is one of the very few déchet survivors of the war between humans and shifters. Her kind was supposed to be wiped out, but she managed to keep herself alive. She kept herself hidden for many years with only the ghosts of déchet children that were killed as her company. Tiger risked her life trying to find children that are going missing in Central. She found a few of them, but there are still children out there. When she discovers there's a link between Winter Halo, a pharmaceutical company, and the disappearances, she knows she has to be quick before disaster will strike. Something strange is going on within Winter Halo, women who work there are being attacked. Tiger has to infiltrate the organization to find out what is happening to them. Her déchet skills might make her immune to a lot of substances, but that doesn't mean she can't be hurt, harmed or killed. While trying to unravel the mystery behind this disturbing business she finally finds out who her true enemies are. Will she be able to stop them? Winter Halo is another fantastic gripping story about the fabulous Tiger. Tiger has plenty of abilities. She's a déchet, made to fight, spy and kill, but she's also got a heart. I loved the way she tries to keep others safe. Children are her weak spot, there's nothing she won't do for them. She risks her life numerous times to make sure she'll rescue as many as possible. Tiger is an admirable main character. She has plenty of interesting skills and I enjoyed reading more about her versatile abilities. Keri Arthur describes them in a fantastic captivating way. Keri Arthur has a great mesmerizing writing style. The worlds she creates feel real and complete. She describes every interesting detail and makes them come to life in a brilliant way. Her stories are filled with unexpected twists and turns, thrilling rescue missions and terrific combat scenes. I couldn't turn the pages quickly enough to find out more about Tiger's opponents and their plans. 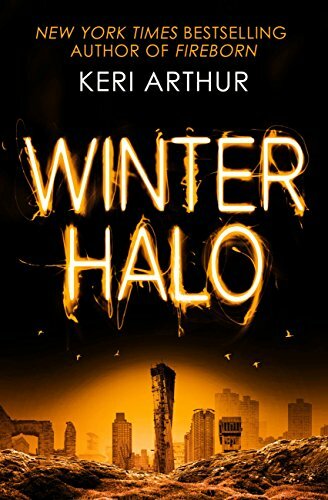 Keri Arthur kept me glued to the pages from beginning to end and I absolutely loved Winter Halo. Tiger has destroyed much of the terrible work of the people she's trying to stop, but seven children are still missing. She's a déchet, created to win a war and trained to alter her appearance and deceive others. This helps her to gather information. Her main opponent is still standing, trying to execute a plan that is too terrible to think about. Tiger needs to find a way to stop this from happening, but her powers aren't unlimited, is she in over her head or will she find a way to succeed? Tiger is no longer alone. There are people she cares about. She doesn't only want to rescue them, she also tries to keep the city of Central safe. Danger is quickly approaching and without Tiger it can't be stopped. She needs every skill, contact and brain cell to have a chance. Will Tiger be able to conquer her formidable opponent before it's too late? The Black Tide is a fantastic adrenaline rush. Tiger's fiery personality, inability to give up and big heart are making her a fascinating character to read about. She's a clever fighter, she constantly pushes her boundaries and she isn't afraid to take risks. There are all kinds of assumptions about the déchet, but she's much more than just a fighting machine. Keri Arthur has again added more layers to her personality and I loved every single one of them. Keri Arthur is incredible at writing series. I like the way she builds her suspense, the obvious love she has for her characters and the careful way she explores every part of their personalities. Her world building skills are impressive and each time she manages to surprise me with the depth and detail of everything she describes. She combines this with spectacular combat scenes and a spine-chilling finale. I was blown away by The Black Tide. Keri Arthur always manages to keep me on the edge of my seat and she's made me hold my breath numerous times. I highly recommend the Outcast series. If you love stories about magic, fabulous world building skills and amazing original main characters combined with spectacular combat scenes, you don't want to miss the Outcast series. The books should be read in their correct order. Clerk at the Bureau of Meteorology, Cook at the MCG, Function and Desert cook at the Essendon Football Club. 1. Can you tell our readers a little about yourself? I’m not sure there’s all that much to tell! 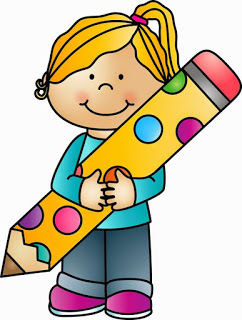 I started writing when I was 12 years old but didn't get ‘serious’ about it until after I had my daughter and quit my job at the weather bureau. I then trained as a chef, did that for more years than I care to remember, and was finally able to quit that job in 2006 and become a full time writer. 2. Your Outcast series is a combination of dystopia, magic, and urban fantasy—how did you get the idea to combine these sub-genres? I’ve always tended to combine genres—one of the reasons it took me a while to get an agent for Full Moon Rising was the fact that it was so cross-genre. I tend to not worry about what a book is genre wise; I just write the story that’s in my head, and worry about where it sits later. Even my urban fantasy novels are a mix of fantasy, crime, and horror, as they’re the books I grew up reading. 3. Can you tell us a bit more about déchet and the inspiration behind them? The Outcast storyline has been bubbling away in the back of my brain ever since I saw the Kurt Russell movie The Soldier. But I wanted my soldiers to be genetically engineered humanoids who combined the ‘best’ abilities from all three races on my world, and I wanted them to be something even their creators feared. Did you know déchet is a French word for waste? 4. Strong female main characters can be found in all your stories. What’s so important about the presence of capable women in books? I think the reaction to Twilight, The Hunger Games (books and movies), as well as Wonder Woman and the more recent The Black Panther movie has proven that I wasn’t alone in my frustration, and they’ve really amplified the need for greater representation of women and diversity in both books and movies. 5. How did your love of fantasy start? I started reading fantasy at a very young age. 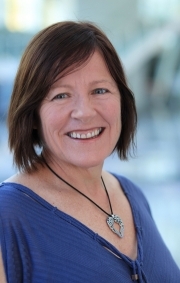 I can remember reading the Famous Five, which were basically fantasy adventure books for kids, and then progressed onto The Silver Brumby series by Elaine Mitchell. They were brilliant books for a horse mad kid, and the stories centered around a herd of wild horses, told from the horses POV. But I guess my first true love when it comes to traditional fantasy was Lord of the Rings, which I started reading when I was twelve. Loved, loved, loved it, and still read it every few years. 6. You’ve written an impressive number of books already. How did you writing career start and how do you keep writing so many new stories? As I mentioned earlier, I got ‘serious’ about my writing after I had my daughter. Back in those days, there weren’t many US publishers or agents wanting novels from an author from the land Down Under, and it took me ten years (and lots of rejections) before I had my first book published with ImaJinn, a US small press. I ended up publishing 12 novels and a novella with them before I landed an agent and a publishing deal with Bantam Books for Full Moon Rising—the first of my Riley Jenson series. Which, for those writers out there, was rejected multiple times by agents and publishers for being too cross genre. As to how I keep writing so many stories—I think it comes back to the fact I’ve always been a storyteller. Ever as a kid, I used to take my horse statues out in the backyard and make up stories with them. Not all of the ideas I come up with go onto to make novels, of course, but like most writers, I’ve generally got more ideas than time. 7. There’s plenty of information for writers on your website—what’s the best advice you’ve ever been given? Write what you love—and I think it’s advice that’s even more important in today’s writing climate. Unless you’re self-publishing (which is a viable option for many these days) then the only thing you can control as a writer is your writing. You might as well love what you’re doing rather than chase markets (which generally never works out anyway). 8. Your main characters all have supernatural strengths. If you could have special powers yourself, what would you choose? Either the ability to teleport or fly! Australia is such a loooonnnnnggg way from anywhere and it takes forever in a damn plane to get to the US or UK. Even within Australia, it can take hours in a plane to get to one side of the country to the other. 9. You have two dogs, is your love for animals an inspiration for your stories about werewolves? Sadly, I’ve only one dog now—we lost our old lab earlier this year. But none of my pets (I’ve had dogs, cats, horses, a magpie, budgies...the list goes on lol) have really inspired my love for shape shifters. I think the fascination comes from the Chronicles of the Cheysuli Series by Jennifer Roberson, which was first published in 1987—I loved those books so much, and have basically been incorporating shape shifters (in one form or another) in my books ever since. This year is going to be a big year for me! 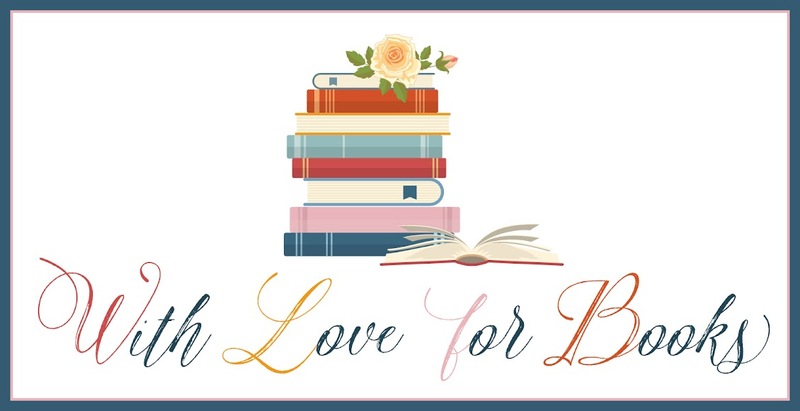 I’ll be stepping into the self-publishing world full time, and will have four new books out. I’ve already released Hell’s Bell, the 2nd book in my Lizzie Grace series. In May, I’ll be releasing Unlit, the 1st book in my new Kingdoms of Earth & Air fantasy series. In August Hunter Hunted—the 3rd Lizzie Grace novel will be out, and Nov will see the release of the 2nd Kingdoms novel, Cursed. 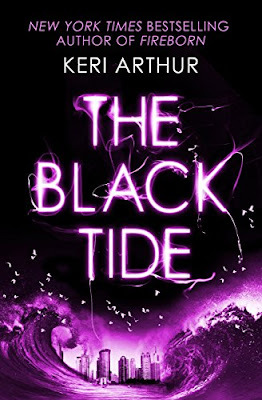 One very lucky reader of With Love for Books will receive a signed paperback copy of The Black Tide by Keri Arthur. The Outcast series sounds like absorbing reads set amid a scary world where darkness equates to danger. The outcast series sounds amazing, just my kind of read. I started out reading the famous five and my reading grew from there. You have also come a long way from then and your books sound great. 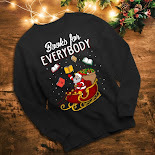 I would love to read them. I love the covers, they are really eye catching. I am a huge fan of Keri's Riley Jenson Guardian series, and I am really looking forward to read her other books. What a great idea behind this series, I'm always amazed how people can imagine the plots for books. Will be interesting to read. Love magic. I absolutley love the worlds and the magical systems she creates in her books and this one is probabléy my favorite of hers. Love the covers of the books!! This sounds like a fascinating book. I will definitely have to read it and soon. Sounds absolutely wonderful and latetely I've becoe such a fantasy lover. I'd love to read them. This sounds like a fantasy that will really immerse you in the world. It will be good read.Thanx for a giveaway. Love the covers - they stand out by a mile. But love a good "shifter" series and this sounds like it's right up my street. Look forward to reading, eyecatching covers. Terrific cover graphics for this series. Really eye-catching!